antibiotic food | Andrea Works . . .
Yellow On Thursday Means You Are . . . Happy? When I was growing up, there were all sorts of dubiously-sourced dictums on all things a kid did externally: the clothes you wore and when, the food you ate, the books you carried, your hair, your shoes, et cetera. But few were more curious than the grade school “rule” that if you wore yellow on Thursday, you were gay. Never mind that gay wasn’t even a concept many of us grokked (this was a Catholic school in the early 1980s). 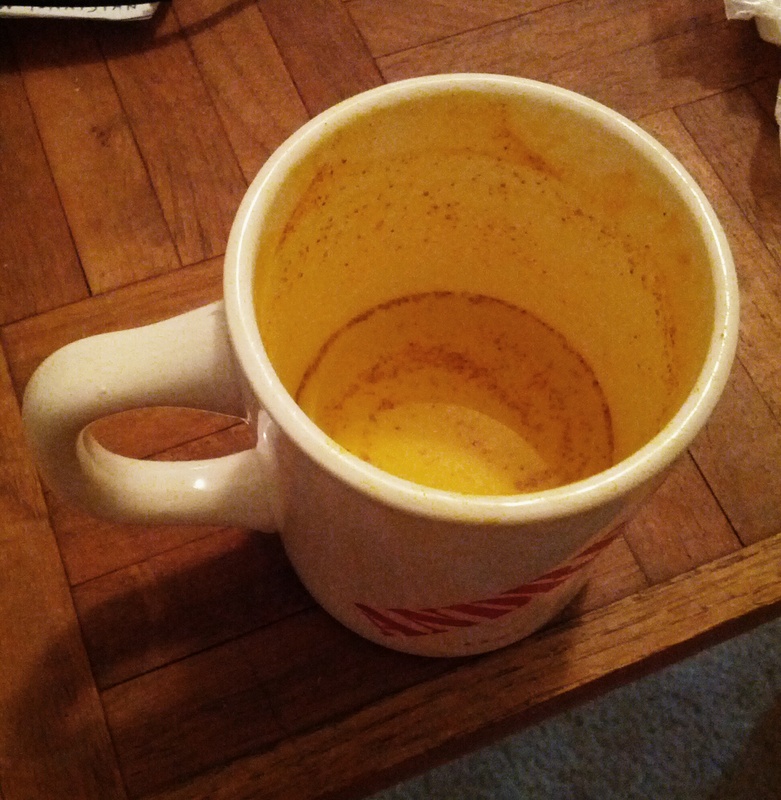 So it is on a Thursday that I paint my insides yellow with my newest edible addiction: creamy turmeric tea. I learned of it through Mark’s Daily Apple when doing a search on natural antibiotics while healing my infected leg wound. Turmeric seemed much more palatable to my friends than consuming buckets of raw garlic. Thanks to Emperor Google, it looks like Mark tweaked the recipe to Primal specifications in 2011 from one created by Sanjay Gupta many years back, first visible on the web around 2001. Dr. Gupta’s featured almond milk (meh), while Mark’s gave the option for a richer route with coconut milk and added warming cayenne. I’ve tweaked further with pastured heavy cream, as most coconut milk leaves my gut bouncy. Here it is, the recipe you’ve been waiting for – the first on this blog.